YOU'RE READING Is raw honey actually any better than sugar or is everybody lying? You know how paleo devotees are always sweetening their food with honey because it’s “safe” and “natural”? Sounds nice and all, but like… are their advice legit? Okay, wow. Nearly 100 percent of honey’s kilojoules are derived from sugar - and it’s even higher in carbs and sugar per one-tablespoon serving than regular sugar. That’s not… great. 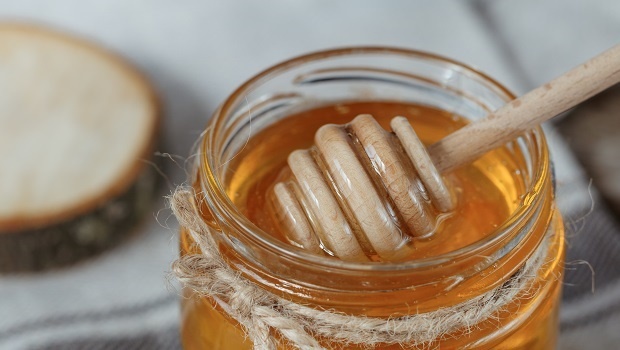 But get this: “Because of its high fructose content, honey is about one to one and a half times sweeter than sugar,” says registered dietician Melissa Joy Dobbins, meaning you can use less of it when you cook and still get the same sweet taste of regular sugar. Her tip: When swapping honey for granulated sugar in recipes, begin by substituting honey for up to half of the sugar called for in the recipe and see how it tastes. And honey isn’t all empty kilojoules, either. It contains flavonoids and phenolic acids (powerful antioxidants), according to Dobbins, along with trace amounts of minerals like electrolyte-balancing potassium, bone-building calcium, and anemia-nixing iron. But she says the exact amounts really depend on the floral source (more on that in a sec). And since the serving size is so small, it shouldn’t be your only way of getting your fill of these important nutrients. And remember how your grandma always told you to put honey in your tea when you were sick? Well, she wasn’t wrong: Research from the journal Frontiers in Microbiologyfound that the sugary substance fights off your cold in multiple ways. It contains bacteria that actually kill cells; it weakens pathogens’ ability to multiply; it can make antibiotics work even better. Go to any Wellness Warehouse and you’ll probably see WAY more types of honey on the shelf than the standard bottle from the supermarket. Manuka… Fynbos… raw… what’s the diff? Dobbins says there are over 3,000 types worldwide. Luckily, “there are no significant differences in nutrition or health from one variety to the next,” she says. So if you’re not totally into the idea of bankrupting yourself over a bottle of Manuka honey…you’re not really missing much. “Flavour and color varies depending on which blossoms the bees visited while foraging,” Dobbins says. Honey is great - just don’t give it to any baby under a year old. “It may contain Clostridium botulinum spores that can cause infant botulism,” a rare but serious disease that attacks the nervous system and can cause paralysis, says Dobbins. Honey is, however, safe to enjoy while pregnant or breastfeeding. The bottom line: Honey is good for you - as long as you stick to the serving size. It should be treated like any other added sugar.